UTS designs and manufactures watches with engineering techniques used in modern industry. Each watch case is made completely in-house on our own modern equipment. 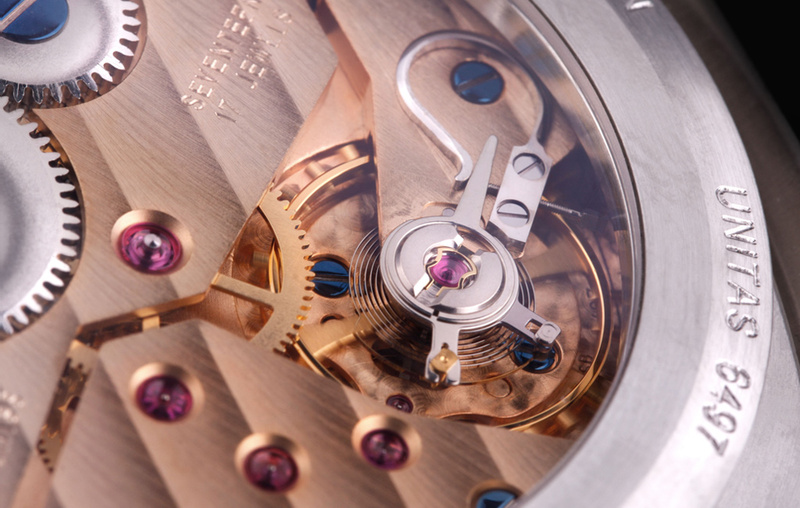 And each watch is assembled by Nicolaus Spinner himself. A watch is only an UTS when the tightest demands of the design specifications are met and exceeded. personally fabricate each watch case in-house. As a university qualified engineer, I only trusts my own precise calculations. as shafts, crowns, pushers, and seals, are not standard components but represent wholly individual engineering solutions. Since 1999, I have been building our high quality German made watch cases. founded as an engineering company in 1999, UTS became quickly known for high precision watches. Form without function is useless for our demanding clients. Under the watchful eye of an engineer, a UTS watch becomes a genuine masterpiece. Rock solid – unbreakable. Watches are precision instruments. down to the smallest detail as well, as the clean sports design the watches display.